Hot time SUMMER IN THE CITY…..
An important element of the YAAM is the decoration and the artistic development – inspired by Jim Avignon, who initially influenced the visual appearance enourmously. others a chance to present their work to a broad audience. fettes Bild since 04, at the road.. !very long picture! 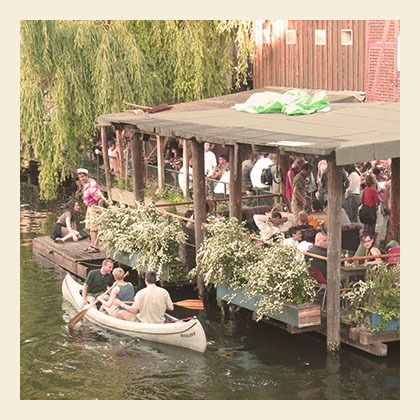 enjoy a beach feeling, cool down in one of the coolest pools in town, floathing on the river spree! all the cool people come here! Hope you will enjoy your stay in Berlin!!! For more cool recommendations check our online staff-recommendations!